The music world surely has seen some major surprises; but I’m not sure if there’s any other instances of a metal band dropping an album as a surprise and on the same day of the announcement! Avenged Sevenfold, one of the most successful metal bands of the last decade, did exactly that. 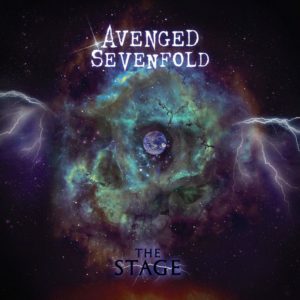 On October 28th 2016, the band released their 7th studio album, The Stage; an ambitious undertaking with artificial intelligence and technology at the heart of it. 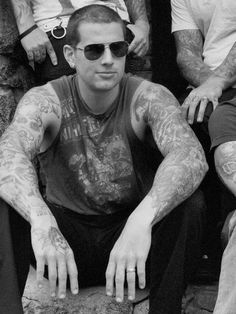 Avenged Sevenfold is well known to many metal fans. I’ve been following them for 6 years now, and one thing I’ve noticed is that they are one of those bands people seem to love or hate. There’s not much in between; which is hard for me to understand because I think they’ve released a lot of varied material so you can definitely find something that speaks more to you within their catalog. I can’t say I’m a big fan of their early material; but I consider Nightmare to be a perfect album and I think The Stage is another impressive record from this talented group of people. But no matter what you think of them, one thing you can’t deny is that they are a global metal band, playing to sold out arenas around the world. 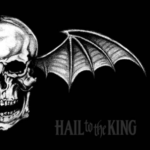 They have already released two Billboard chart topping albums, Nightmare in 2010 and Hail to the King in 2013. And while both albums saw the band try different ideas and come up with a separate sound, it’s safe to say that neither was as ambitious as this new one. It’s an ambitious album on multiple levels. First, it’s a concept album. And all concept albums face the same difficulty as they begin: is the story compelling enough? 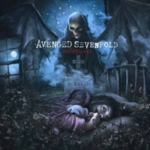 Avenged Sevenfold tells the story from a few different angles. They talk about advancements in technology, mainly in artificial intelligence, but also pose questions about the implications of these developments. M. Shadows, the band’s lead singer, warns us about the “scary downsides” if we don’t pay attention. In that sense, I find the lyrical concepts fascinating as they don’t really stay on one specific issue throughout the album; but rather approach a concept in multiple angles. That’s what’s so compelling about it. And third reason is that this album was (almost) a complete surprise! 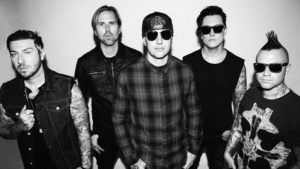 There was anticipation that the band was going to release a new album, but unlike all other bands these days, Avenged chose not to share snippets of songs, or release a bunch of singles before the record was out. The only song that we got to listen to before the album’s release was the title track. Then, to throw people off, Chris Jericho (vocalist of FOZZY and friend of the band) posted a photo on his Instagram account and implied that the album was going to be released on December 9th and it was titled Voltaic Oceans. Of course, neither was true and Jericho knew that! To make it even more “believable”, he deleted the post to make it look like he leaked something he wasn’t supposed to. It was so good that some metal news sites picked it up! Imagine everyone’s shock when the album dropped much earlier than that and the title had nothing to do with oceans whatsoever! It’s an interesting way of releasing an album for sure and, in this day and age where there’s a ton of competition, perhaps not the best way to secure a number 1 spot. But then again, just because an album doesn’t get there, doesn’t mean it’s not commercially successful. Metal albums usually don’t get that spot anyway! Furthermore, there’s more to an album than its commercial success. 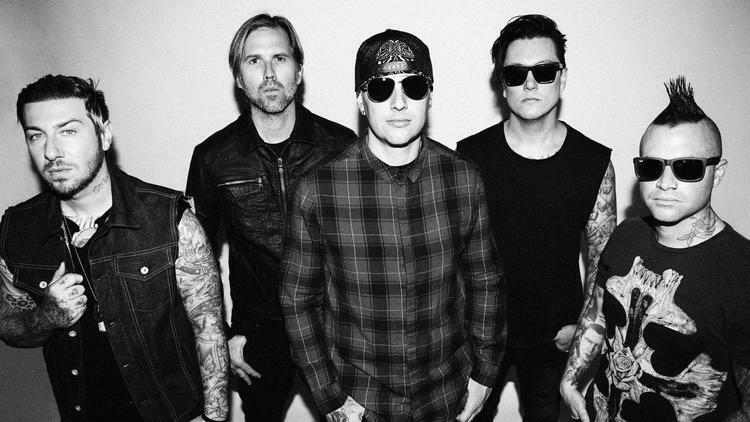 M. Shadows told Rolling Stone that releasing a lot of the material before the entire album’s release “completely takes away the mystique of the record”. Can you blame him? As much as I like teasers from my favorite bands, there’s truth in his statement. When I was a kid and I was discovering all these rock and metal bands, it was such an amazing feeling to come home with a new CD and discover all songs on it as I read the lyrics on the booklet. It’s hard to do that anymore. The Stage is a unique way of reliving that experience. Of course, I can’t end the post without mentioning a big change in the line-up. This is the band’s first album with new drummer Brooks Wackerman, former drummer of Bad Religion, among other bands. To be perfectly honest, I wasn’t familiar with Brooks’ work before but I’m blown away by his performance on this album. If you are making more progressive music and each song is telling a story, you need a great drummer that not only can keep up with guitars but also add a lot of their own unique playing with clever fills. That’s exactly what Wackerman did, in my opinion. Check out a few YouTube clips of him playing with the band, too. He’s a great fit and I hope he stays in the band for a long time! In terms of the tracks themselves… Honestly, it’s one of those albums where I can’t pick a favorite song. They’re all good as far as I’m concerned. And it’s mainly because each track is significantly different than one another and offer something different to the listener. Having said that, I do want to call out “Roman Sky”, the song about the life and death of Giordano Bruno. It’s a slower song compared to some of the others, but the melodies are absolutely beautiful. There’s great orchestral arrangement towards the end of the song and the guitars work seamlessly along with all other instruments. I didn’t know who Giordano Bruno was; and if you don’t either, do yourself a favor and look him up and then listen to this song. It will move you in a whole different way. “Exist”, which is the longest song on the album at about 15 minutes, has a lot of twists and turns along the way. Don’t let the length of the song concern you if you’re not too keen on longer songs, this one has enough changes throughout that it doesn’t even feel like the same song. There’s also a cameo from Neil deGrasse Tyson who has a spoken part towards the end! The title track, “The Stage”, was the only song the band had released prior to launching the whole album. That’s probably the one song that is more straightforward than others, but that’s only relatively speaking. 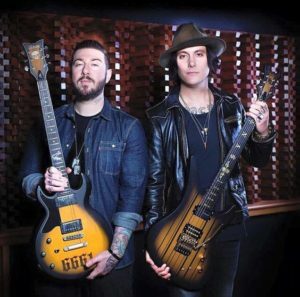 It’s a great heavy metal track that opens with some great lead guitar work from Synyster and develops into a full assault attack soon after. I’ll also call out “Creating God”, which features some spectacular drumming from Wackerman. It’s definitely got a progressive edge with changing tempos, some tricky rhythms that add a lot of great sounds to the song. The song talks about how we might be creating a new god with all the artificial intelligence advancement going on. “We’re creating god, unsure of what we’ll find” sings Shadows, prompting us to think about one of the key concepts on the album. And if you are still not convinced about checking out the album, take a look at the band’s performance at the top of the Capital Records building. It’s a relatively short setlist but the delivery is the best I’ve seen the band perform. With this new line-up and the new album, they seem so focused. The playing is really tight and they seem to really enjoy what they’re doing. I can’t say that I’ve always been their biggest fan since I could never get into their earlier material. But I must say that I am seriously impressed with this new album and I think they deserve everybody’s attention for what they’ve been able to do. Definitely check it out.